Sage North America appears to be formalizing their plans for including some of their popular catalog of Extended Solutions for Sage MAS 90 and MAS 200 into the core product beginning with release 4.4. If you’re not familiar with Extended Solutions they were pre-written customizations (sold separately) that once installed work seamlessly within MAS 90 and MAS 200. For years Extended Solutions were the “secret sauce” that Sage consultants used when they implemented new systems for customers. During any ERP software implementation there’s usually a tiny bit of missing functionality that’s needed. For example finding a fixed cost Extended Solution that for example performed ACH Payments for Accounts Payable (not a core MAS 90 feature) was significantly cheaper and easier than hiring a programmer to modify the software to perform that task. Beginning with version 4.4 of MAS 90 and MAS 200 Extended Solutions will not be sold separately. Instead Sage have taken the list of available solutions and intends to cull out the most popular ones for inclusion in future releases of MAS 90 and MAS 200. Extended Solutions not selected for inclusion will have their source code made available to a number of select programmers (Master Developers) so that customers can have their enhancements upgraded. 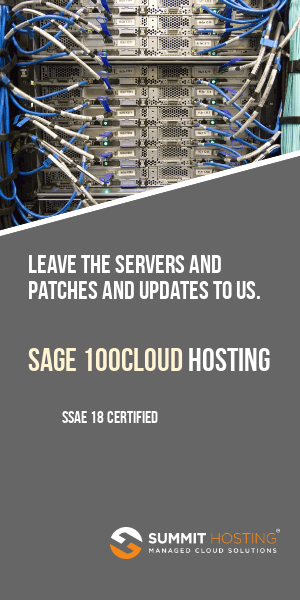 Although some solutions with few users may not make it into Sage MAS 90 or MAS 200 we understand that Sage will continue to provide support (without upgrades past version 4.3) for a period of time yet to be officially announced. Note: As of this writing the site for Extended Solutions catalogs and pricing is down. We’ve yet to hear anything official on when these enhancements (shown below) will be included in the next release(s) of Sage MAS 90 and 200. One source who attended a Sage meeting indicated that out of and estimated 700 titles (active & inactive) there will be approximately 56 preserved and rolled into MAS 90 and MAS 200 over the next 12-24 months in various quarterly updates. Another approximate two dozen enhancements were listed as being un-needed due to functionality that was in the new version 4.4 release of MAS 90 and MAS 200. According to consultants who’ve attended the briefings, Sage is selecting the enhancements to include based on the numbers of installed base users and the ease of embedding them in the future release. While the exact timetable of when certain Extended Solutions will be included in the future releases of Sage MAS 90 and MAS 200 is uncertain we recommend reviewing the official Sage document below to see which of your enhancements is being incorporated in a future MAS 90 or MAS 200 list. If your enhancement is not on the list you may be able to enlist the aid of a qualified Sage Master Developer to assist you in the upgrade process or to purchase a similar enhancement from another developer. Sage Software worked hard on MAS 90 and Mas 200 so that the results would be better as compare to the past results. The future releases of these solutions will be enhanced the efficiency.